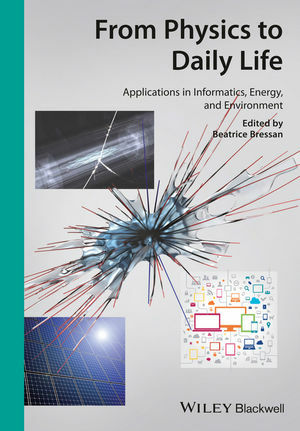 Beatrice Bressan brings together a number of outstanding examples of successful cross-disciplinary technology transfer originating in fundamental physics research, which dramatically impacted scientific progress in areas which changed modern society. Many of them were developed at CERN, a hotbed of fundamental inventions in particle physics. This book deals with breakthrough developments being applied in the world of IT, consumer electronics, aviation, and material sciences. Additional sections of the book deal with knowledge management and technology transfer including their economic aspects. While each chapter has been drafted by an expert in the field, the editor has carefully edited the whole to ensure a coherent overall structure. A must-have for policy makers, technology companies, investors, strategic planners in research and technology, as well as attractive reading for the research community. National Institute of Nuclear Physics) and for ENEL (the Italian National Electricity Entity). Her managerial positions include: Responsible for the TOTEM experiment Outreach (CERN); Head of Communications (SIB, Swiss Institute of Bioinformatics); Communications Manager (Physics Department, Geneva University); Communications Director (MaatG Cloud Computing Company), Switzerland, and Chief Business Development Officer (gnúbila Software Development Company), France. She is member of EUSJA (European Union of Science Journalists? Associations) and has extensive experience in project management, business development, media publishing, public relations, mediation and negotiation. She is author and editor in a wide range of subject areas, among her publications: A History of International Research Networking (Wiley, 2010), Knowledge Management in an International Research Centre (Lambert Academic Publishing, 2011).